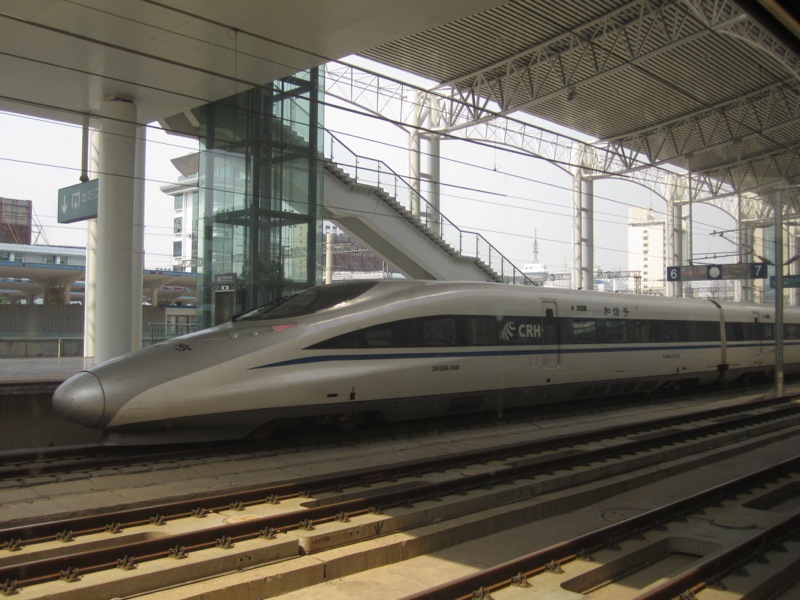 Minor changes to train schedules on the Shanghai–Nanjing Intercity HSR will take effect as of 28 March 2012. Train G7003 from Nanjing to Shanghai will make an extra stop at Suzhou (ar 09:06, dp 09:07). Train G7035 from Nanjing South to Shanghai will no longer stop at Danyang, but will stop instead at Kunshan South (ar 08:05, dp 08:06). Train G7041 from Nanjing to Shanghai will make an extra stop at Kunshan South (ar 09:12, dp 09:19). Train G7069 from Nanjing to Shanghai will make an extra stop at Kunshan South (ar 17:36, dp 17:37). Train G7081 from Nanjing to Shanghai will no longer stop at Wuxi New District, but will stop instead at Suzhou (ar 20:54, dp 20:56). Train G7083 from Nanjing to Shanghai will no longer stop at Qishuyan, but will stop instead at Wuxi New District (ar 20:53, dp 20:54). Train G7122 from Shanghai Hongqiao to Nanjing will make an extra stop at Kunshan South (ar 07:54, dp 07:55). Train G7142 from Shanghai Hongqiao to Nanjing will no longer stop at Huishan, but will stop instead at Wuxi New District (ar 19:12, dp 19:13). Train G7206 from Shanghai to Changzhou will no longer stop at Qishuyan, but will stop instead at Huishan (ar 20:05, dp 20:06). Train G7390 from Hangzhou to Nanjing will no longer stop at Zhenjiang, but will stop instead at Huishan (ar 19:16, dp 19:17).